I presented a 40 minute session at Agile India last week. 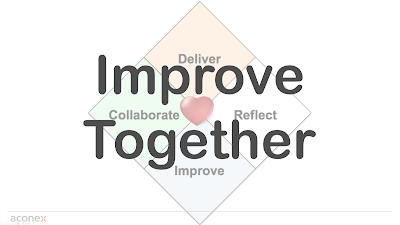 The name of my session was "Improve together." The presentation I used to support the workshop activity is below. I have put my notes down on how to run the workshop inside the deck in case you or anyone else wants to use it. If you do use this workshop either as described of via your own improvements, please give credit, and also please share back with me how it went.